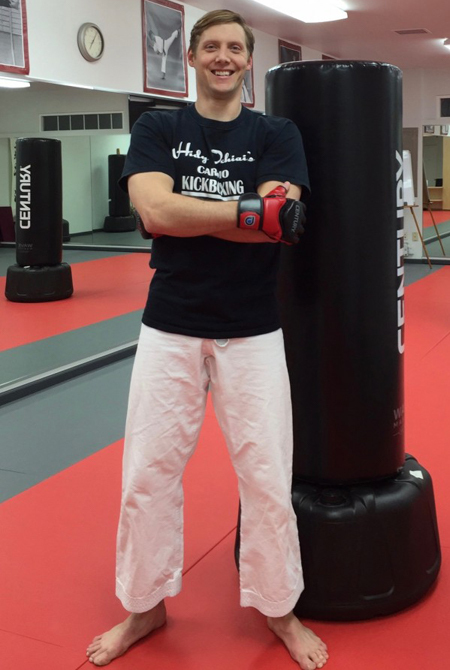 Join our Chief Instructor, William Max Winkler, for our amazing Cardio Kickboxing program! Whether you’re looking to get in shape, stay in shape, or try a new, fun fitness routine, our classes are for you. You’ll train with an actual heavy bag as well as receive calisthenics, flexibility, and conditioning exercises, all while having a great time in a high-energy and encouraging environment! You’ll also gain tremendous confidence knowing you’re learning proven striking techniques for use in real self-defense situations. No need for previous experience, all fitness levels are welcome! Ages 15 and up only. To get you started, we’ve got a incredible New Member Special. For just $19 you’ll receive three classes and a FREE pair of gloves! And you can try your first class FREE! To sign up today, follow the quick and easy steps below or contact us directly. You won’t regret it! 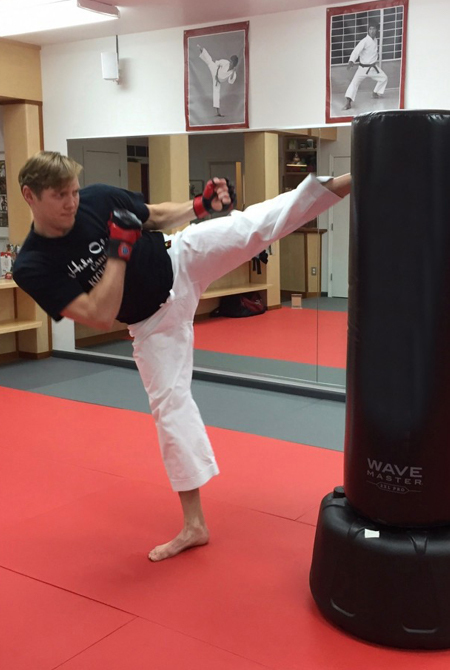 → Click on the “See When Cardio Kickboxing is offered” below. → Click “Sign-up” on the class you want to attend, and click on the red “Continue” button in the window that appears. → You’re all done! We’ll see you in class!